John Stuart Mill (1806-73) Innovative and still modern thinker. Piers Benn has written about: Freedom of Expression and the Flight from Reason. He covers ten features of our current culture that are hostile to freedom of expression and to reason. Speaking freely and being fair and reasonable are at the core of how people best get on with each other. That is how we get through our differences too, if we are to promote equalism. These ideas directly relate to how we can choose to behave in our own lives (and social media) while we promote constructive discussion and relationships locally and more widely. This is my summary of the article. It’s well worth reading it in full. 1. Excessive Trust in the ‘Authority’ of Strong Feelings. Trying to unpick the reasoning in what is being angrily expressed is seen as an affront. 2. Indifference to the Principle of Charity. Some people have difficulty seeing that you can take complainants very seriously but also be concerned to give the accused a fair hearing. 3. Guilt by Association. If you agree with one thing that a person or source says, it is assumed that you agree with their stance across the board. 4. Normalisation of Hyperbole. If you question whether there really is ‘an epidemic’, you may be accused of denying the occurrence of the bad thing in question. 5. The Genetic Fallacy. Let’s spread discussion, not silence the free speech of the powerful. Curtailing speech because the speaker is privileged risks suppressing good ideas as well as bad ones. In the long run that is good for no one. 6. Opportunistic Relativism. It is right to explore how a perspective is shaped by its social background and bias. But we should be able to ask what the alternative perspectives are and whether they are good ones to adopt without being tainted as some sort of supremacist. 7. A Manichean Mindset. Some cannot tolerate the idea that bad things come in degrees of badness. We should be able to say that something is a bit bad without being accused of denying that it is bad at all. This normalisation of hyperbole fuels moral panics. 8. The ‘Born-Again’ Experience. Fresh converts to a new belief think that the new faith explains everything that was wrong with life up to that point. That then confirms the new belief – the evil of ‘Satan’, ‘PC’ or ‘patriarchy’. Evidence that doesn’t fit in is not permitted. 9. An Absence of Mercy. For many people, apologies are just admissions of guilt that demand humiliating punishment. Instead of mercy ‘heretics’ and ‘deviants’ are hunted down. ‘Offenders’ are reduced to grovelling and even to inventing new charges against themselves. 10. Ideological Hypervigilance. Ideologies are social or political beliefs. For social justice warriors, they are also justification for attacking power and hierarchy. Hypervigilance takes the form of challenging the language used or the assumptions beneath what is said. This does do some good. But the unquestioned assumption that some words are harmful and must be corrected can make it impossible to say what needs to be said. We forget the original subject. Intellectuals excel at intellectual strutting taking cleverness to indicate wisdom. 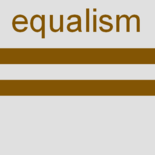 This entry was posted on 4 March 2018 by Nick Child in Class, Culture, Equalism in general, News and tagged Being Reasonable, Conversation, Equalism, Free Speech, Reason, Research.